This week’s first “tried and true” Southern favorite is….Homemade Buttermilk Biscuits! Learning to make biscuits was one of my cooking goals. I will be right up front….IT TAKES PRACTICE! I think everyone who makes or has attempted to make biscuits has had the “hockey puck” experience. You know the one…the biscuits would have a better chance at being a hockey puck than a delicious base for gravy or jelly. My grandmother taught me how to cook. I spent my preschool days following her around the kitchen. When I started school, I spent whole summers with my grandparents. My grandmother canned and made many things from scratch, but believe it or not, she always made canned biscuits! One summer I asked her if she knew how to make them homemade. Of course, she did, so my next question was, “Can you teach me?” Probably because grandmas always say, “Yes,” she agreed. That began the biscuit making practice. I was so excited to perfect my skills, we had biscuits for breakfast, dinner and supper, until we ran out of shortening. They lived a good twenty miles from the grocery store so I had to wait until our next planned trip. My poor grandfather ate so many of my biscuits that summer. Although there were quite a few “hockey pucks” he always had something good to say about them. Grandparents are great! I didn’t get very good at it that summer and when I went home and back to school it fell by the wayside for a while. Every now and then I would give it a shot but with little success. This continued for several years. After college, my best friend and I got an apartment together. Now, SHE could make some biscuits! We learned many things from each other. I taught her how to drive and she helped me with my biscuits. She became a better driver than I did biscuit maker, after all, I lived with her and she was better at it so why not just let her make them? Then I met my husband. His mom makes biscuits…GREAT biscuits! He would NEVER say anything to compare me to his mother or her cooking (she taught him better) but I wanted to get really good at it, so with her help, I have finally mastered the art of biscuit making. 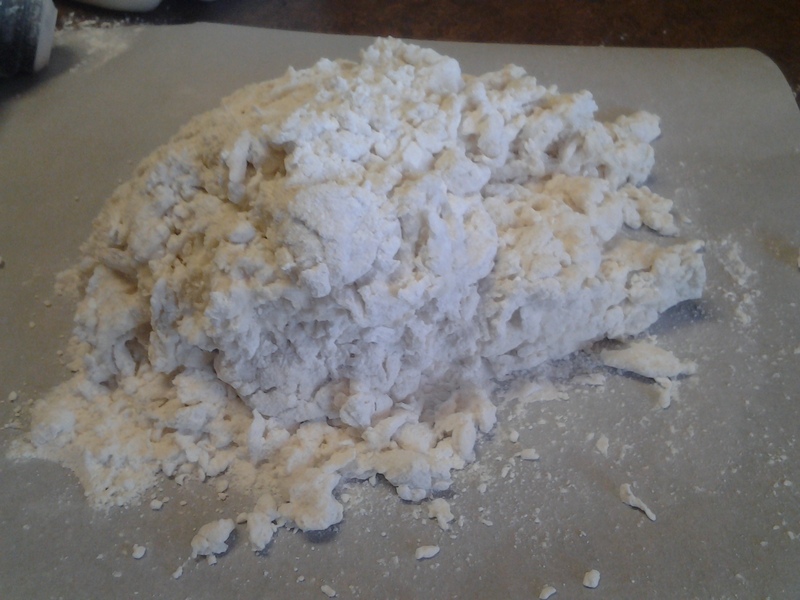 Start by adding shortening to flour in a large bowl. Cut in shortening with a fork or pastry blender until shortening is about the size of small peas. Add milk and stir just till soft dough forms. DO NOT over mix….that gets you hockey pucks! Using a biscuit cutter (or glass) dipped in flour, cut dough into rounds. Re-knead dough and repeat until all dough is used. Bake on 450 degrees about 15 minutes or until golden brown. *Wait until oven is at 450 before putting them in, they may not rise properly otherwise. In a large bowl add shortening to flour . DO NOT over mix....that gets you hockey pucks! Wait until oven is at 450 before putting them in, they may not rise properly otherwise. I always use White Lily flour. Good quality flour makes a difference.